There are also several great extensions that you can use on Chrome to increase your workflow and enhance your productivity. We have reviewed several of these extensions in the page called "Chrome Extensions for Teachers". However, today we are sharing with you another three wonderful Chrome extensions that you should try out. With one click, Clearly makes blog posts and articles clean and easy to read. Clearly eliminates all distractions from your online reading experience, and even allows you to browse multi-page articles in one, seamless view. Connect Clearly to Evernote to clip and sync articles with every computer, phone and tablet you use. 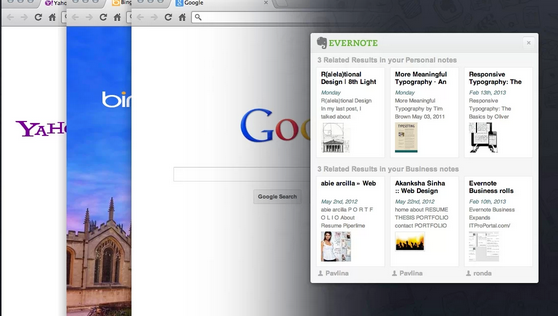 Use the Evernote extension to save things you see on the web into your Evernote account. It even lets you search through your notes.Evernote Web Clipper is the best way to remember all of the great stuff you see online. Forget about bookmarks and open tabs, save the actual web page - text, links, images and all with a single click. This extension allow you to save web content directly to Google Drive through a browser action or context menu. You can save links to documents, images, and HTML5 audio and video all by right clicking and selecting 'Save to Google Drive'. 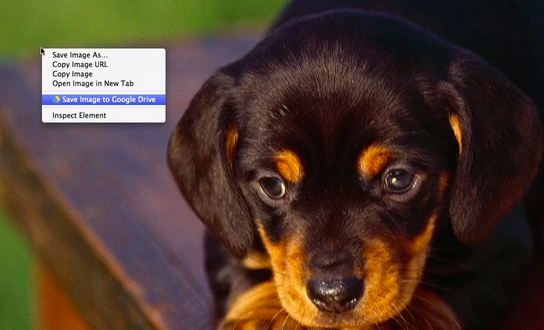 You can save the currently viewed page using the 'Save to Google Drive' browser action. The format of saved HTML pages can be controlled with the extension's options page (Choice of Entire image (default), Visible image, Raw HTML, MHTML, or Google Doc). You can automatically convert Microsoft Office files or comma separated files to Google docs format.